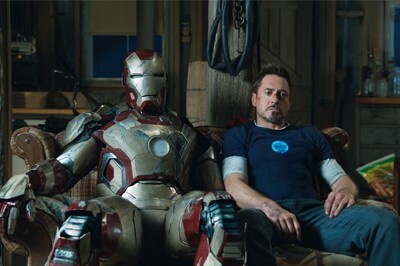 The months following that alien invasion above New York with the Avengers haven’t been easy for Tony Stark. It turns out the whole experience did quite a number on him. Trigger words like “New York”, “Avengers”, “aliens” and “wormhole” elicit a traumatic physical response from the arrogant billionaire inventor. To stave off these anxiety attacks, stubborn Stark has gone back to what he knows – creating armies of Iron Men with varying capabilities and weaponry. Not quite where you’d expect the Marvel Cinematic Universe to go after “Marvel’s Avengers“, the biggest superhero blockbuster ever, but I’ll gladly take it. 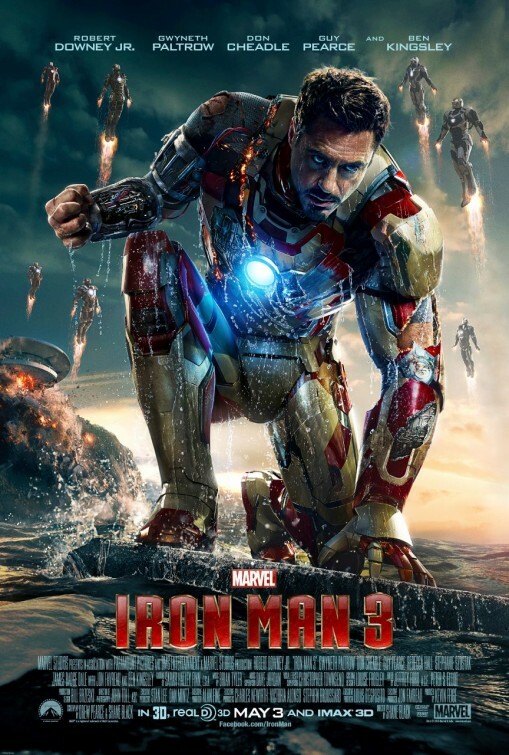 “Iron Man 3” may be a downstep in momentum for the Marvel Studios films, and it may not kick off Phase Two (the first Phase basically spanned from 2008’s “Iron Man” thru last summers assembly of heroes) the way everyone expects. Again, I’m totally fine with that. In fact, it’s refreshing to take a step back and be reminded who Stark, the Man in the Iron Mask, is. That’s not to say that the second sequel is a character study (if so, it’s a lightweight one at that), because there’s still plenty of armored action and witty banter (the best of which are between the snarky Stark and a precocious ten year-old boy) to take in. The movie starts with narration by Stark, something we haven’t heard in the previous movies and a welcome addition at that. It’s Robert Downey Jr., after all, and by now we know that he’s the best aspect of the “Iron Man” movies and last year’s “Avengers” movie. It’s a natural, matter-of-fact and elbow-nudging narration, as if we’re picking up with an old friend. Thankfully, it doesn’t overwhelm, serving as a bookend to the movie and leading directly into the past as Stark recalls some key memories. Flashback to a Y2K New Year’s Eve party in Switzerland, where Tony Stark (Robert Downey Jr.) is in attendance with his bodyguard pal, Happy Hogan (Jon Favreau). We’re introduced to Dr. Maya Hansen (Rebecca Hall, “The Town“), an attractive botanist focusing on regeneration, whom Stark will presumedly bed, and Aldrich Killian (Guy Pearce), a nebbish scientist for AIM (Advanced Idea Mechanics) who’s a little too eager to get some science geek time with Stark. If you guess who Stark gives his time to, you’re correct. These two are new characters mixed into the “Iron Man” movies and will obviously factor in later on. Neither of them feel forced into the story. We expect new characters. Plus, this is all Stark’s recollection we’re pulled into – a welcome narrative thread considering we hadn’t really seen the adult Stark prior to the events that occurred in the first movie. The only downside is seeing the awful hairstyle Happy is sporting. So, you know what’s transpired since then. Tony Stark “is Iron Man” and all that. Now he’s an insomniac though, tinkering away in his Malibu home. When he does sleep, he wakes up next to his girl (Friday) Pepper Potts (Gwyneth Paltrow) in a cold sweat from nightmares of those nasty Chitauri. It’s cool that Stark has developed the Mark XLII armor that he can remotely attach to himself (or anyone), aka the Mark XLII, piece by piece, but Potts helps him realize (as she often does) that in doing so, he’s basically shutting out those that care and the one he loves (or, as Stark says “the one thing that matters”) as he tries to protect her. 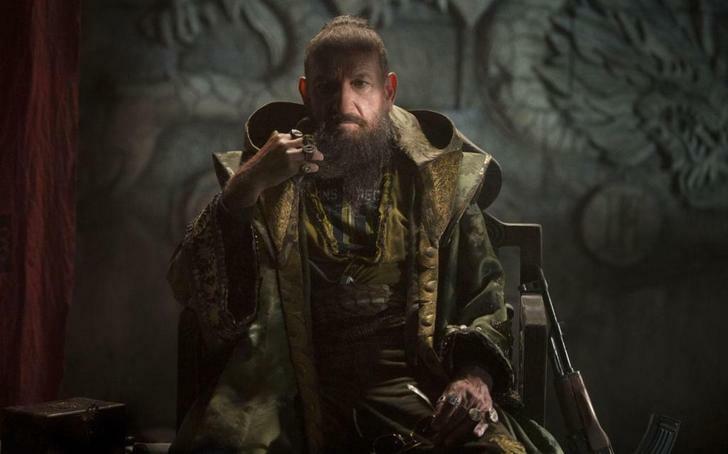 Stark is soon distracted by 24/7 coverage of a terrorist calling himself The Mandarin (Ben Kingsley), an enigmatic threat who unleashes explosions on U.S. soil. The aftermath of these bombs leaves authorities baffled, since there’s no forensic trail. What can be done about such a villain? He manipulates the media and commandeers all broadcasting for his mongering speeches. Stark asks his pal Col. James “Rhodey” Rhodes (Don Cheadle) to look into the matter and also gets a visit from Dr. Hansen (whom he pretends to forget) who may have some answers for him. But when Happy Hogan, playing spy as Stark Industries Chief of Security, gets injured while following a lead, specifically a shifty-looking bald dude (James Badge Dale, “Flight“) – that’s when Stark gets really pissed off. But his hot-headed anger gets Stark in more hot water (literally) when he threatens The Mandarin to a confrontation, broadcasting his revenge (and address! ), which results in his oceanside home destroyed and dumbed into the Pacific. Assumedly stripped of his toys, Stark now must lay low in Tennessee (the last place we’d find a rock star industrialist) with one damaged iron suit and play detective in order to find out how to defeat The Mandarin. He gets assistance from the fatherless Harley (Ty Simpkins, that kid from “Insidious”), an awestruck precocious ten year-old boy who provides Stark with a needed down-to-Earth interaction and a shed for him to play MacGuyver in. With more help from Pepper, Rhodes and JARVIS (once again voiced by the inimitable Paul Bettany), Stark soon discovers that Killian, the geek he once ignored, is behind all the madness. In fact, Killian could be considered “Dark Stark” as he’s created his own army, using the ‘Extremis’ formula developed by Dr. Hansen. This formula regenerates human limbs, giving them superhuman strength and sadly, the subjects Killian is using for his army are maimed soldiers, giving them a villainous measure of PTSD added to what they assuredly already have. 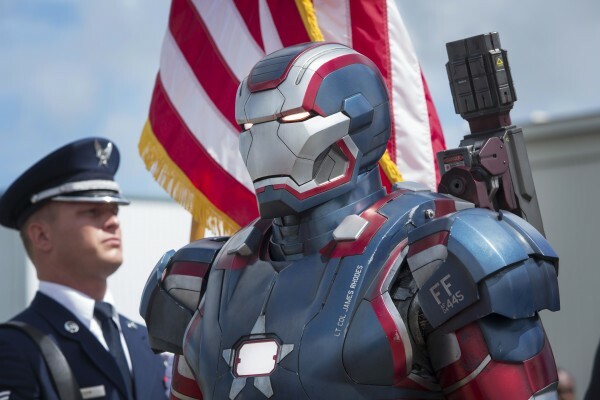 Meanwhile, Rhodey gets into his own trouble investigating The Mandarin in his new Iron Patriot armor (the government had to slap a new star-spangled coat of paint on his/their War Machine suit), which gives Cheadle much more to do than just argue with and fight alongside Downey. Stark and Rhodey eventually team-up, even though Rhodey tells him dealing with terrorists is a military/government matter. You think Stark will have any of that? Explosive events inevitably come to a head with Pepper in peril and the President Ellis (William Sadler) strung up at an abandoned Roxxon Inc. oil platform. It’s up to Stark, Rhodey and a dozen or so Iron Men to save everyone rid the world of The Mandarin menace. This may be the third “Iron Man” movie, but it’s writer/director Shane Black’s first time suiting up. Downey and all his supporting players are in good hands though. This is the guy who wrote “Lethal Weapon”, “The Last Boy Scout”, and “The Long Kiss Goodnight” (big fan of all three) – all smartly written action films with great storytelling – as well as having directed Downey in “Kiss Kiss Bang Bang” a fun modern noir. It was time for Favreau to step down as director after “Iron Man 2” received a mixed response and a new director, who happens to be a gifted in juggling many characters in a seamless manner, is just want was needed. Black respects what’s been built while spotlighting what makes the builder an incorrigible jerk. He has no qualms following up last summer’s global hit. It’s all about character for Black and disassembling who Tony Stark is by taking away what he’s invented, or, what he’s hid behind. I may be making this out to be an introspective superhero movie, but I did mention it’s lightweight and there’s still plenty of humorous beats here. It’s still Downey doing what he does best. Without all his tech at his disposal (at least for a good stretch), Stark is left with his brilliant wit and blunt charm. The audience should have no problem following Downey/Stark down such a path. In particular, enjoyment can be found watching Stark adapt out of his element, in small-town Tennessee. Watching Stark walk into a honkytonk bar and interact with Harley and a local (Dale Dickey) affected by Mandarin’s terrorist threats, is a nice change from all the superhero-ing we’re used to seeing each summer. Even when that’s interrupted by an Extrematrix type villainess (Stephanie Szostak, “We Bought a Zoo”), as the two throw each other around, it’s still something we haven’t seen before and it proves that Iron Man is Tony Stark. It must be mentioned that what is done here with The Mandarin is genius. It makes sense and fits well within the MCU. Comic book fans may balk with the portrayal or they may take issue with him not being Chinese (instead, he plays off of American fears), but Kingsley is great and the entire angle of the antagonist is another refreshing element to the sequel. Pearce is also good, but more of an amalgam of the characters Sam Rockwell and Mickey Rourke played in the original. I’m just grateful there’s no one suiting up in their own armor for the finale to fight Iron Man, something that’s been done twice already. Unlike the other two movies (and maybe all of Marvel’s movies, so far) this one has a recognizable, even catchy, score composed by Brian Tyler (“Rambo” and “The Expendables 2“). I didn’t pick one up before, but in this film, there’s an identifiable theme harkens to the Bond films, in a way. In fact, the end credit montage music really feels like we’ve just watched a spy film. It’s been said that Tony Stark could be America’s James Bond, so attaching that tone and style to the character is quite fitting. Speaking of sound, the sound and vision of “Iron Man 3” is exemplary. The team of sound editors here, led by Peter S. Elliot and Jeffrey Ford and the cinematography lensed by Oscar-winner John Toll is most impressive. From the explosions to the heavy metal aerodynamic action, what we see and hear is perfectly synched to the tone of the picture. Specifically, the fantastic Air Force One air rescue is something truly awesome to behold on the big-screen. Seeing it in 3D isn’t necessary this time around as it darkens the screen significantly and isn’t utilized to any unique effect. It should be noted that this is probably the first “Iron Man” unfit for young ones, despite what the toy tie-ins what them to believe. It may be a little too much for anyone younger than, say, twelve years-old. Maybe that’s just me, but that’s how I felt with the first one too. I should also address something I wondered for a moment while watching “Iron Man 3” and it’s probably a question many viewers will ponder. That is – “Why aren’t the Avengers helping out Stark?” or “How come S.H.I.E.L.D. isn’t stepping in here?” There’s an answer for that and it’s all in the title. This isn’t an Avengers movie. Just like you’ll find in many Iron Man comics, most of the help Stark receives come from supporting players like Happy, Rhodey and an extra dash of Pepper. These characters ground Stark and keep him in touch with his humanity. Besides, if a Thunder God could fly in and take care of business – where are the stakes in that? 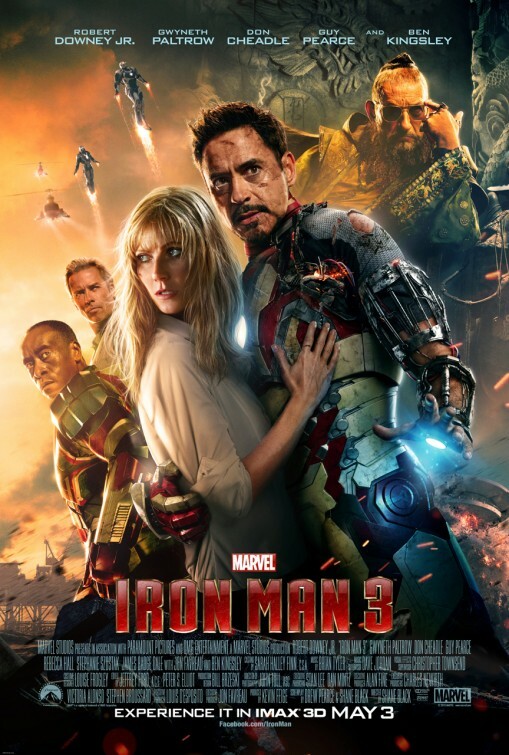 Like most of Black’s movies, “Iron Man 3” is set during Christmas, another new element for a Marvel Studios movie and is full of some superb action sequences. Oh sure, there are still some problems with the movie, especially a couple of beats toward the end. But it never took away from the entertainment of it all. Maybe this is the studio’s Christmas gift to their fans – a movie that delivers great characterization and action with a tone that deftly balances the light with the heavy. I can’t wait to see it again.